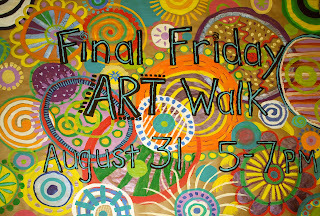 I'm helping to organize a Final Friday Art Walk in my community. I'm excited that things seem to be coming together with our planning. 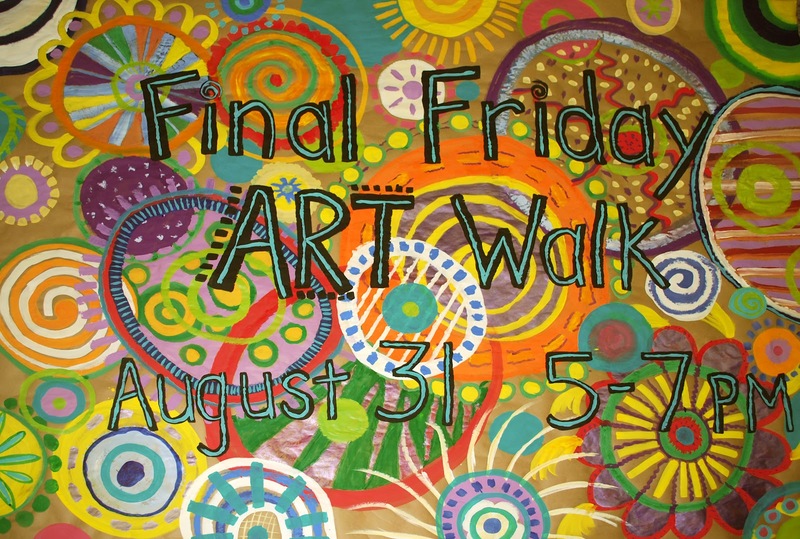 We've never tried anything like this in our small town but we are hoping for a good turn out and hope to hold Art walks at least a few times a year. A few members of our Arts group, Jackson County Arts got together last week to make a giant sign (6x8 feet) to advertise the event. We had fun painting circles. The sign will be displayed in our Chamber of Commerce's window. I had fun getting things ready for the county fair this year. Jackson County Arts wanted to reuse the Vincent van Gogh head I made for our scarecrow last fall so we came up with a theme of "Crazy about the Arts" (we didn't mean it to be insensitive...) and used sunflowers to showcase different branches of the Arts. 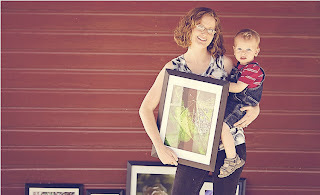 We had sunflowers representing music, painting, photography, fiber arts, and writing/drawing. I also made a little display to educate people about Van Gogh and hopefully help them understand that we didn't just use sunflowers because we're in Kansas. :) We were proud to earn the Grand Champion ribbon. I always enjoy checking out the other displays at the fair. I was amazed by some of the quilts made by 4H'ers. and my Mixed Media Cicada Mandala in Fine Arts. I hope when my son is old enough, he'll want to participate in 4H. Do any of you participate in your County Fair? We'll be enjoying the parade tonight in 102 degree weather, which considering the last couple weeks, isn't terrible!